Andrea Levine is a former corporate lawyer turned wellness coach and fitness instructor. 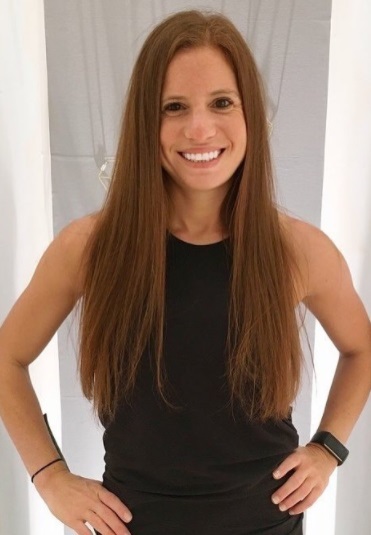 She is new to the health industry becoming an ACE-certified group fitness instructor, Schwinn-certified indoor cycling instructor, and Mayo Clinic-trained wellness coach all within the last three months. But Andrea is no stranger to what it takes to get fit and healthy. Her struggles with disordered eating and exercise addiction, coupled with her training in fitness and nutrition, make her uniquely situated to help others take the journey to becoming their happiest and healthiest selves. I’ve learned how to push myself outside of my comfort zone both physically and emotionally to overcome my fears and follow my passions. Looking back, I spent a lot of time missing out on great opportunities because I let my fear of disaster take over. After deciding to take the first big leap, things I never thought possible became realities. What made this a reality? I developed a fear of flying at age sixteen that halted my love of travel, avoiding family vacations and spring break trips with my boyfriend, not willing to push through my fear for my own sake. After six years of being grounded, my corporate job required me to fly from New York to Pittsburg (and back) for an assignment. Not willing to give up this opportunity, I knew I had to get on the plane; I kicked, yelled, screamed, and cried most of the way, but I did it. I had put my wanderlust on hold for so long, this trip sparked something in me, and I decided not to put my passion on hold any longer. A month later, I flew to Miami for my first real vacation with my boyfriend, and a year later I flew to Beijing and Thailand on my own! Now, seven years later, I have quit my career in corporate law to follow another passion – helping others get healthy, fit, and feel great about themselves. I never could have conceived of this move years ago, but every step I took outside my comfort zone helped me learn, grow, and further myself, building the courage to take this giant step forward. Confidence. The more confident I am in myself, the more of me I have to share with others. Personal: Travel far and travel often. Nothing has been as eye-opening, confidence-building, or challenging as traveling abroad; I am better for every experience that takes me out of my normal routine. As I grow into this more confident me, I want to grow the ways I support my family and friends; my past insecurities and fears hindered my ability to focus on the people I care about, but I hope to improve on this every day. Business: I want to inspire others to live healthier lives by helping them set realistic and meaningful goals and motivating them to do the hard work. If I can improve the way people feel about themselves, encourage people to move more and move better, and help people adopt healthier habits relating to nutrition, exercise, and stress-management, I will consider myself a success. Making the commitment to turn myself into the confident, healthy, and emotionally aware woman I am today. I figured out how to dig myself out of a 15-year hole comprised of disordered eating, exercise addition, and negative self-talk. I had to admit I needed help and be ready to accept that help. I twice put myself in outpatient care, sought help from an onslaught of therapists and nutritionists, and eventually propelled myself into a place where I feel healthy, capable, confident, strong, and social. Listening to all the negative voices made it really difficult to engage with others in a positive way, I lost friends and missed out on exciting opportunities, but I worked through these issues and am now reaping the benefits. I would not be in the field I am in, or as eager to help others find their best and healthiest selves, had I not had to fight to find my own best self. I would have thought the answer to this would be leaving a corporate job in Big Law to pursue health and fitness but, in truth, by the time I made this decision I was more than ready for it. My words to live by: “It isn’t easy to feel this good.” This maxim lets me recognize how far I have come in my own journey to be healthy and happy. In celebrating the work I have put in and the benefits I have reaped, I want to show others that feeling better is never out of their reach it just takes commitment and a conscious decision to put themselves first. I have accomplished my goal of wellness and fitness coaching if I can help people turn healthy habits into a reflex not a chore. Everyone I have met since I started pursuing health and fitness as a career. There is a large network of supportive, motivating, selfless women in New York City (and beyond) eager to support, inspire, and connect each other in pursuit of each other’s goals. I am grateful to each person who has shared their time, experience, and advice with me. This is impossible to answer; every new destination changes me for the better, requiring an open mind and willingness to be comfortable with the uncomfortable to fully embrace the culture and experience. Bangkok, Thailand encouraged me to be humble as I watched Buddhists remove their shoes before entering their temples. In Costa Rica I learned resiliency as my group and I hiked through a tropical storm to our lodgings in the middle of the rain forest. Morocco’s Muslims showed me true selflessness as our guides led hikes, provided transportation, and arranged meals for my group during Ramadan, when they could not consume food or water during daylight hours. And, in Belize, I found genuine kindness in strangers and an unwavering commitment to respecting nature. I rarely leave home without my Kindle; I love reading about historical events, other cultures, and social science; I’m always in the middle of a book. I am also attached to my Lug gym bag; it has a pocket for absolutely everything. And lastly, Cetaphil moisturizing cream; spending so much time in the gym means multiple showers per day, and this body lotion helps keep my skin from drying out. I am fortunate to have an incredibly loving and supportive family and that I am finally able to appreciate all they have done for me. My parents offer unwavering love and support, even in my decision to leave a lucrative legal career, and my sister, through her own struggles, has shown me what strong and beautiful really looks like. I continuously trying to find how to be there and be better for my family while respecting my need for self-care. I am also working on finding ways to move better. My pursuit of health and fitness has opened my eyes to the strain modern society puts on our bodies, urging us to spend countless hours behind a desk, wearing high heels, and hunched over our phones. Even some of the most popular cardio exercises—running, walking, cycling, elliptical—utilize the same muscles in a repetitive fashion. 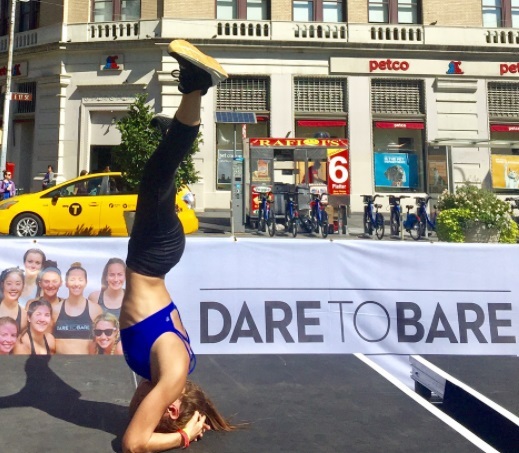 As part of my wellness journey, I have increased my time spent doing high intensity intervals, compound exercises, yoga, and balance and agility training. Redefining my definition of exercise has improved not only my strength and mobility, but also how I feel about my level of fitness. Moving differently has helped me feel more comfortable in my skin and I want to show people how better movement can make them feel good too.